Every Fayetteville small business has a brand. 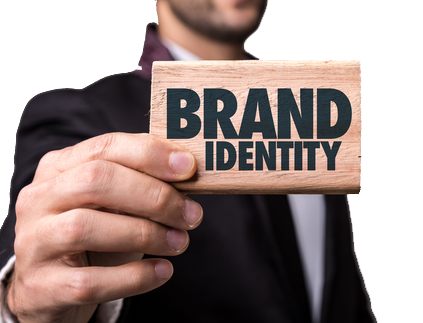 "Your company's brand," says Jeff Bezos, CEO of Amazon, "is what your customers say about you when you are no longer in the room." A few years ago, customers of the Crown Complex weren't saying good things. 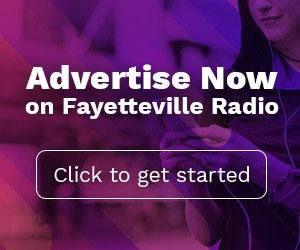 Advertising on Fayetteville radio helped remove the tarnish from the Crown's public's perception. The Crown Complex first opened in 1967 just minutes from downtown Fayetteville. It expanded in 1987 to include a 60,000 square foot expo space. In 1997 the 10,880 seat Coliseum was added. In 2013, amid poor fiscal performance and poor public perceptions, Cumberland County, owner of the building, hired Spectra Venue Management to address these issues around. 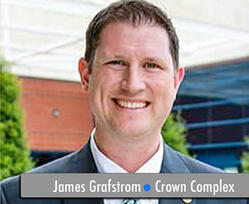 According to James Grafstrom, who has managed the Crown Complex since then, advertising on Fayetteville radio has contributed greatly to fulfilling the county’s expectations. To help improve and maintain the public perception, Mr. Grafstrom continually advertises on Fayetteville radio. A study conducted by Nielsen in Spring of this year confirms Mr. Grafstrom’s observations. 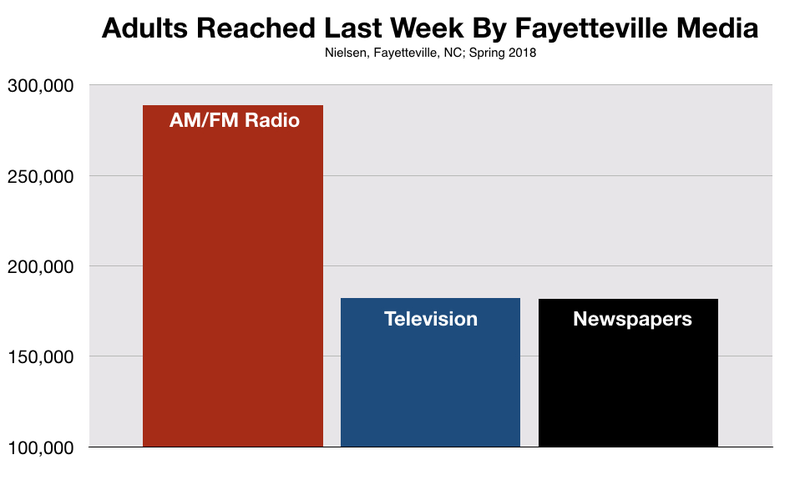 The study shows that 90% of everyone in the area tune-in to their favorite Fayetteville radio station each week. This is more people than watch local TV or read a newspaper. 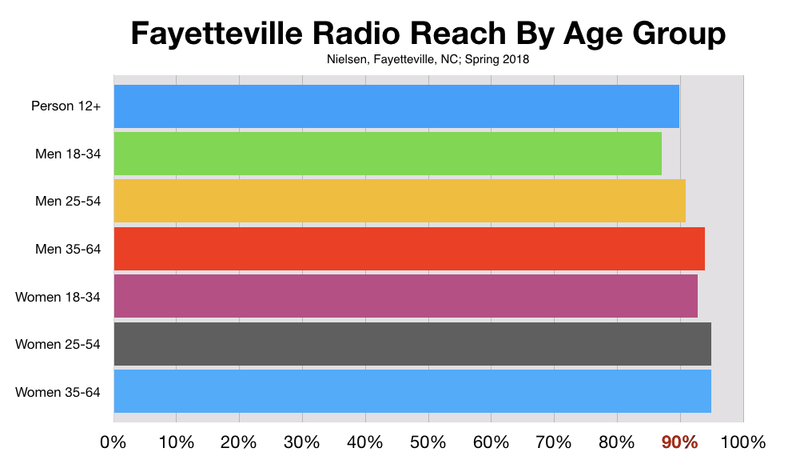 Nielsen also points out that radio listening in Cumberland County is nearly ubiquitous among people of all ages. This includes members of Generation X, Y, and Z; Millennials, and Boomers. Everybody. To change local residents’ perception from ‘nothing ever happens at the Crown’ to ‘something exciting is always happening at the Crown’, Mr. Grafstrom uses a combination of 30-second and 15-second commercials to brand the venue, not necessarily to sell tickets. “We are on the radio every week sharing our line-up of all upcoming events regardless of the audience that is hearing the commercial.” He says. “For instance, we will include a rap show in the commercial on a country station. We will include a rock show in our commercial on rap station. We will include new artists in our commercial on an oldies station.